I'm a mum to two poppets under 7, and excited to be bringing music to your poppets from October 2017. I have always loved music which has been at the heart of my world - even taking my recorder in my pocket when I went to football matches! At Kingston University I took Clarinet lessons from Vicki Medcalf and Piano lessons from Michael Round before graduating with a BMus (HONS), and then completed my GTP teacher training at Goldsmiths. During my teaching career I have taught Music at Hayes School, been the Faculty Leader for Creativity and Performance, plus Head of Music at Blackfen School for Girls, and Year 2/3 and Music Teacher at Trottiscliffe CEP School. Highlights of my career so far are being nominated in the National Teaching Awards by one of my pupils, and winning a regional competition for her work as Head of Music. I came for a trial today and the children were so engaged and loved every minute. Can't wait to join up! 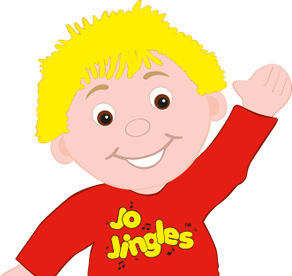 We had Jo Jingles for my Daughter's 2nd Birthday and the children love it! Really fun and interactive, we would definitely use you again and again. Thank you. Lydia planned music and games to the birthday boy's chosen theme (Choo Choo party). It was lovely and Lydia was very accommodating for the interests of the group. Thank you for helping make it such a lovely afternoon. Thank you so much Lydia for a fabulous Jo Jingles party! All the kids had a fantastic time and the adults were so impressed by how engaged.. Thank you so much Lydia for a fabulous Jo Jingles party! All the kids had a fantastic time and the adults were so impressed by how engaged and well behaved the kids were for the best part of an hour! I would totally recommend you for a party. Lydia is a wonderful Jo Jingles leader. She has all the kids on their feet and has lots of energy to keep them going. A great class to be part of. 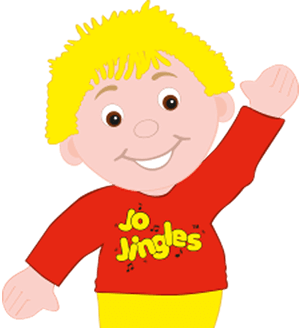 Working as a children's nanny I have attended Jo Jingles with my little charge, Joe. 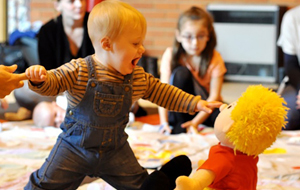 Working as a children's nanny I have attended Jo Jingles with my little charge, Joe. Joe was shy and withdrawn at the start but has bloomed and looks forward to his music classes without hesitation and is taking a bigger role with each session. A huge success. I have been jingling for some time now having taken all three of my children to the classes. I have been jingling for some time now having taken all three of my children to the classes. With my first it was all about wanting to get out the house to meet other mums while also taking my son to something stimulating. I was also aware of how important learning nursery rhymes is for a child's development so thought a music class would be great for this. When Will was 2 my daughter arrived and came along with us, before I knew it she was shaking a maraca along to the songs! Currently I'm taking my youngest son to a class in Tunbridge wells which he absolutely loves. He has already learnt the actions to 3 little monkeys and 5 little ducks!. 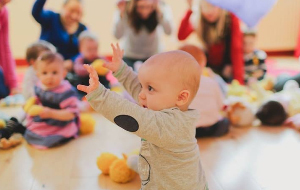 I have tried out a few different music classes over the years but always went back to Jo jingles as I loved the format of the sessions which include singing, playing instruments, action songs, movement to music and also some listening to commands. All of which set the little ones up nicely for their journey onto school. Thank you Jo Jingles. Great class this morning. Never seen Matilda so engaged and happy to be participating. 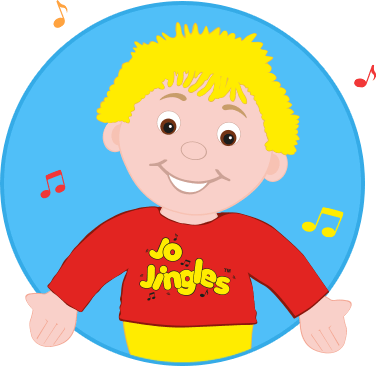 Leo has loved Jo Jingles the past two years, his concentration and love of music has grown and grown. I must say, I found you to be so friendly and welcoming and I really liked the format of your sessions. I must say, I found you to be so friendly and welcoming and I really liked the format of your sessions. I will certainly be recommending you to my friends! Onthedoorstep visits Jo Jingles Tunbridge Wells! * selected classes only. Admin fee applies.